This is Sprawler. Also known as Asteroscopus sphinx and before that Petasia cassinea. The petasia part of the scientific name seems to come from 'able to fly' but this seems somewhat odd as the majority of moths manage this without any trouble; the sphinx part of its other identity refers to the larva's habit of rearing up when disturbed - as can be seen in the photograph beneath. I can find no reference as to why the name was changed. But the common name, Sprawler is an interesting one. The OED lists the word as specifically relating to the species of moth when it was first recorded in 1832. Seven years later Charles Dickens uses the word in Nicholas Nickleby when a character, referring to the Infant Phenomenon, declares, 'Isn't it enough to make a man crusty to see that little sprawler put up in the best business every night'. Is the moth in the photograph sprawling? I suppose it could be, but it might also be down to another meaning of the word : 'to crawl from one place to another in a struggling or ungraceful manner'. 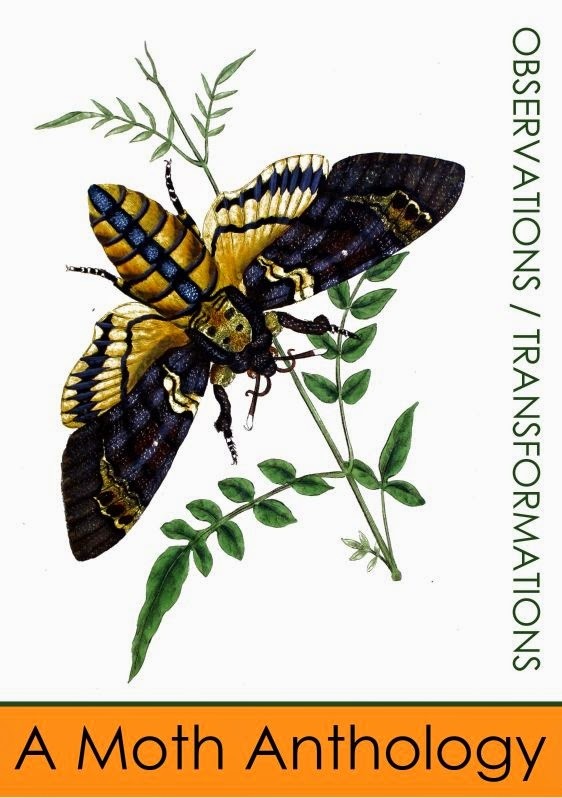 When I moved the moth from the egg carton to the privet leaf (to reflect the illustration below) it suddenly became active and made jerky and rather wobbly movements before settling down to be photographed. This sprawling reference is dated 1582. Sprawler was accompanied by the first December Moth of the season and a number of those scraps of tissue known as Winter Moth, November Moth and Autumnal Moth - all possible and all looking very much the same. Sprawler has only been seen once before (exactly a year ago) and we are pleased to see a member of its new generation.